Imagine you are the leader of a team where occasional blaming and backstabbing are the norm. Conflicts are frequent and they don’t always result in a healthy outcome. Occasionally conflict has quite a significant impact on your team’s productivity. You want to bring out the best in your people but your efforts don’t seem to be working. In fact there are one or two people on your team who you’re watching for underperformance. You have some great people but a couple of personalities present challenges that you need to deal with. Your role can take the form of police person and judge but you would prefer to be a coach and guide to your team. If you identify with this scenario then you’re in a normal team. You are a typical manager with great intentions and a mixed team of diverse people with varying attitudes, skills and behaviours. Most teams are missing the foundations of great teamwork. While great leaders are a fantastic asset for teams, it is a mistake to think that leaders alone create fantastic teamwork – team members can play a huge part in making a team effective. Neither are great teams only the result of exceptional individuals working together. Great teamwork is possible with a few strong foundations in place. Teamwork happens when people work together but most professionals have limited skills in working together with other people as part of a team. 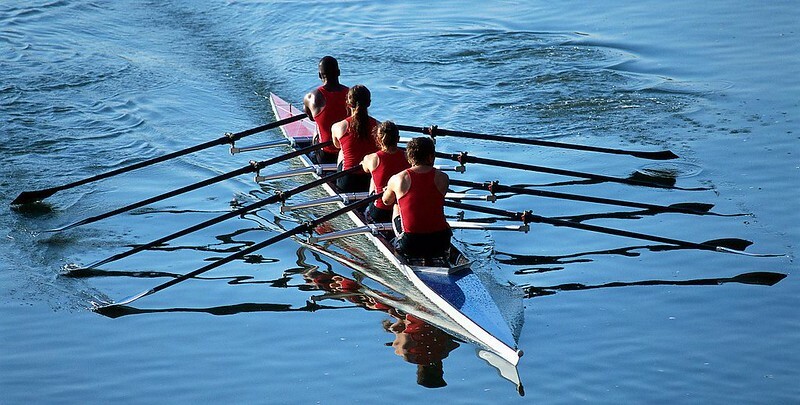 Teams rarely focus on the foundations of great teamwork: conflict resolution, collaboration and information flow. Teams that work together to build these foundations build trust and accountability. They deliver great results while creating an enjoyable experience of work. We often think of conflict as an extreme scenario. In reality, personal and occupational differences need to be faced on a daily basis. When team members have the know-how to communicate non-aggressively, they cause less conflict. Personality differences are mediated. Turf wars are held politely. Opposing interests can be resolved without confrontation. Feedback can be given clearly and respectfully, without breaking trust. It is often advisable to also have an agreed conflict resolution mechanism in place for when individual efforts fail. Teams and team members often complain that collaboration is lacking. Collaboration is a process of sharing skills and knowledge to arrive at a joint outcome. It requires some attention to achieve the best from it. Collaboration depends on clarity around a) the anticipated joint outcome b) individual’s roles and capabilities and c) the decision-making process. With these foundations in place, each person’s contribution can be maximised and respected, meetings can proceed effectively and efficiently and team members can be empowered to make decisions within their remit. Teams usually evolve organically, without a specific focus on the information flowing in and out. Teams can sometimes need support to create the right systems and use the right tools that will help information to flow between team members. When information flow is supported, team members can trust that they will have access to the information they need to do their job. They can also work well virtually, for example by working from home. Great teams are created when leaders and individuals work together to focus on building a strong teamwork capability. Leaders and team members can contribute a lot individually but great teamwork results from focusing jointly on how to work together. Leaders and individuals can both enjoy more satisfying careers by building their teams’ teamwork capability. Great teamwork is a key to work that delivers results and achieves well-being at work. It comes from strong conflict resolution, collaboration and information flow. Without this focus, teams will continue to experience the ‘normal’ dysfunction that steals both results and motivation.